Daegon, Taven AND Sareena from Armageddon. That's 11 and they are my favourites as well! Only Havik, Fujin and Sareena are half-decent in that list. Just accept it, majority of fans don't care for the 3D era and its characters. You can copy paste your thread on this forum or the subreddit or agreeing with a desperate clueless youtuber hungry for clicks, but in the end nothing will change the fact that the roster has already been chosen and finalized, and will likely include majority of the Trilogy cast AGAIN, because that's what fighting franchises do: the bring back over and over the same successful characters, and left into oblivion the least successful ones and the studios don't want to waste ideas and resources in redesigning them. Sorry, but this is the truth. Li Mei, Bo and Frost for me. The others can go to hell, including Fujin The Overrated. Do you accept things that make you mad? Or try to do something about them? If you just accept them, I'm sorry that you're not more of a fighter. Wow! Really? BruskPoetProductions is a desperate youtuber? What's the first channel you go to when you want to find out about MK news? Frost is pointless. We don’t need male/female versions of ninjas. Keep Sub Zero unique. Li Mei and Bo Rai Cho are okay, they kinda show the more civilian side to Outworld. It’s not all Shao Kahn and the tarkatans. Havik is cool and the orderreal guy was cool, Hotaru, right? We need to see the other realms more in this game, or at least future games. A lot of cool story potential there. More Edenia in the future too. Jade needs to make a comeback, and maybe she could even ally with Tanya and Rain to free Edenia. She is an original design, got a good story and adds depth to her and Noob. The rest need to Wait. 4500 people who upvoted the 2 videos above disagree with you. MKX and 9 both had 5+ million copies in sales.. how do your 5000 up votes compare ? Plus he has good content, upvoting doesn't mean agreeing. You can't ask 5 million people. From the people who saw his 2 videos, 4500 upvoted to have at least 11 3D era characters in the roster, while around 250 downvoted. That paints a pretty clear picture to me. U don't get my point. I don't thumb a video down just because I don't agree with his opinion especially if his video and other content are good. So expect an MK Triology heavy roster. I can not see all of them returning but a fair few deserve another chance in my opinion. Kenshi has been well treated by NRS with him being 5 games including the last 2. I do not think he needs to return but I would not be against it either since I like him a lot and he is very popular. Not really interested in Fujin but a lot of people would want him so I think he should come back and see how he matches up against the rest of the cast. We can see how popular he really is. I like Sareena, Havik and Forst. I think Sareena should have a shot at coming back especially if Noob will return. Havik is up in the air and Frost maybe DLC. I doubt she will be on the main roster. Li Mei was my main in Deadly Alliance. I also liked her look in that game and the simplicity of her moves and combo strings. Just for nostaglia I would like her back. Ashrah in my opinion has overlap with Sareena in that a demon becoming good but I would not be adverse to her coming back. I would like design to get a overhaul however. WIth Kronika being the boss I would like Onaga to sit out. If he was going to return I would like him to be the boss since he is incredibly powerful and he would fit that role. Taven and Deagon, I do not care much for. 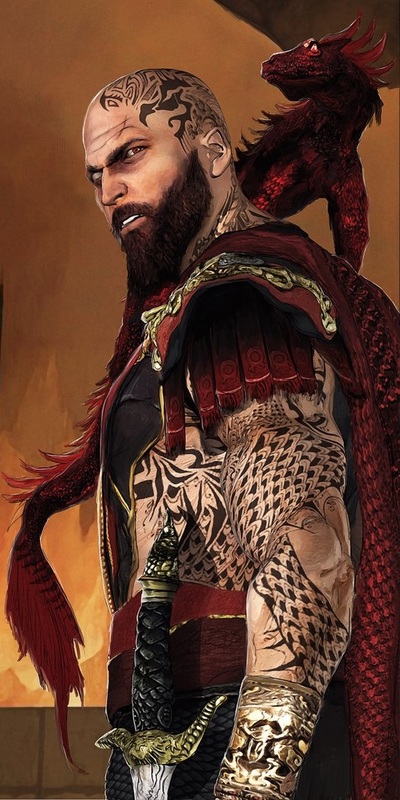 They were really forgettable but Daegon has potential with the Kenshi storyline and the Red Dragon. Why do people want to bring back frost? All that would do is make subbys move set more bland..
i could see a premium skin for subby. But we don’t need two separate cryomancers on the same roster.. I would like her back for story reasons and to see her character get development. They do not have to play anything like each other. Sub-Zero in Injustice 2 played nothing like he did in MKX. There are plenty of moves they could use. So Reiko, Fujin, Frost, Li Mei, Kenshi, Ashrah, Onaga, Havik, Taven, Daegon and Sareena? Personally, I’d go with Reiko, Fujin, Kai, Mavado, Li Mei, Frost, Kira, Hotaru, Havik, Onaga and Sareena. But that’s neither here nor there. We all have our favorites or at least ones we see potential in. Some might not want any and that’s fine, but a lot of people at least want a few, so the fact that they mostly ignore this era except for a few DLC characters while finding ways to retread the same ground story-wise and character-wise is somewhat unfortunate. I love the MK1 and MK2 rosters, but when I see so many of them in every game, some of which are doing absolutely nothing in the story, I have to wonder if now might not be a bad time to freshen things up a bit. Let us miss some of those characters we get all the time. Plus, as Brusk indicated, we’re in 25th anniversary territory. Why not give some fan service to everyone that’s loved this series, including the 3D era fans. For as much crap as those games take now, they scored similarly to the Trilogy and also sold well, so why not stop acting like the 3D era was the dark ages of MK and give people more of what they actually want? Upvotes on a YouTube video don't mean a whole lot. Dynasty uploaded a roster wishlist including only seven 3D returnees (including DLC slots) and got like 21,000 upvotes. Four (Frost, Sareena, Li Mei, Bo' Rai Cho) made a cameo appearance in MKX. One of which was later released as DLC. He forgets to add Tanya to that list... also DLC. Two more characters he gives in his actual wishlist (Fujin and Havik, plus he mentions Li Mei again). But he positions those characters against the 3D characters who have already made a solid comeback -- including Tanya, who was highly requested and not seen since MK4. It's like he thinks that 3D characters should be tossed in the mix just to do it, and no further effort should be made to keep them involved in the story, lest we get bored of the exact thing we're asking for. Should we just dump Tanya now that we've marked her off the checklist (and also kinda forget that they gave her to us in the first place, so we can keep the complaints rolling at full momentum)? He goes on to say that he doesn't trust NRS to include 3D characters as DLC if they don't make it to the main roster. While forgetting that Kenshi was DLC in MK9, and MKX added Tanya, Bo', and the loudly requested Tremor. 1) It's not up to you to say if a character is worthy of returning or not. Market is. Not up votes on YouTube or the vocal minority among mk communities. 3)Yes, Dynasty, Brusk, unCaged and many others are just clickbaiters, addicted to ad revenue up votes and likes. YouTube is almost never a good source of news or leaks for things regarding mk. But here are my real issues with Brusk's video and the message you got from it. First, he never mentions having "at least eleven" 3D characters return, at any point in his video. He only asks for a "satisfying" amount of representation and never throws a number out there. He only mentions six 3D characters by name. No, he actually mentions all of those on the list. Watch the second video. That's not the video you were talking about with the 2500 likes. I misunderstood which video you were getting your info from, but my point about the flaws in his more recent take still stands. He has "concerns" that there won't be room for 3D characters in theDLC, even though history proves otherwise. (Two out of three slots for MK characters in MK9 were a 3D character and a fan request. 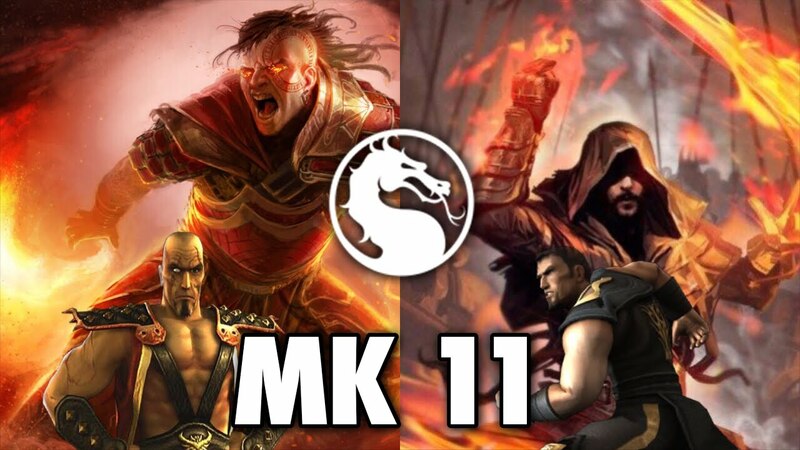 Three out of four slots for MK characters in MKX were 3D characters and a fan request.) And he essentially argues that 3D characters who do make a return shouldn't necessarily come back again. He seems perfectly happy to see Tanya upgrade from a one-and-done character to a... two and done character? That one also has 2000 likes. All the more people upvoting for when he mentions Reiko, Fujin, Kenshi, Frost, Li Mei, Havik, Ashrah, Onaga, Daegon, Taven and Sareena. Heck, Tanya too, who doesn't like her? Everybody does! Sigh. I don't know why you keep going on about the likes. He got three times as many likes in a video complaining about alternate costumes. Another YouTuber I mentioned before pulled 21,000 with a roster wishlist with only seven 3D characters. The likes don't mean anything. And you're totally ignoring everything else I'm saying about the video. People like Brusk keep griping about the lack of 3D characters, while dismissing the ones who are there because they're not the ones they want. Then why did they hit the like button? Because.....Batman? You know, there are also about 200 people who think like you, they downvoted. But it's a pretty much 10:1 difference. So, you're the vocal minority, not them. I could go into the complexities of how people interact with social media channels such as YouTube, and why the Like and Dislike buttons on a video don't necessarily mean what you seem to think they mean, but then this conversation is going to fishtail waaaaay off topic (maybe not as far off topic as Batman, but still pretty far) and I'm not sure it would end up being worth bothering anyway if you're not going to at least think about what I'm saying. Here's an easy one though: Let's say you've wandered into a convention for people who are really big fans of peanut butter and tuna fish sandwiches. Now, you don't know exactly how popular this kind of sandwich is among the broader sandwich-eating community, because most people don't really care and never bother talking or thinking much about their sandwich opinions. But an advertisement for this convention got over 2,500 likes on YouTube, so you naturally conclude that PB&Fish sandwiches must be really popular, and the 200 people who disliked it must be in the vocal minority(...?) of all sandwich eaters. In reality, you've just stepped into an echo chamber full of people who are already fans of PB&Fish, and already agree with whatever opinions a PB&Fish sandwich has to say about 3D era characters in Mortal Kombat. Now, more 3D representatives in MK is a perfectly reasonable thing to want. I want Havik back myself, I want Bo' to actually stick around... and if I really want to reach for the moon here, Kai would be great to have too. I'm just tired of seeing people talk like NRS never brings back 3D-era characters while ignoring the times they did, claiming they never listen to fans when most of the MK segment of the Kombat Packs have been pure fan service, complaining in advance about a roster they only know half a thing about at best, and so on.